THE countdown to the official opening of Page Park’s restored grand bandstand has begun. With just days to go before the Page family declare the new-look landmark open, last minute preparations are being finalised. The event, on Saturday May 4, will be marked with a big family day complete with children’s entertainment, music and food. 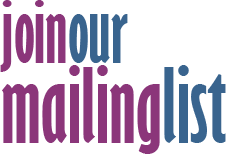 Children can enjoy face painting, a drum workshop, Punch and Judy and free tennis lessons. Mums, dads and grandparents can sit back and enjoy entertainment from the bandstand. Music kicks off at 11am with a Salvation Army brass band followed by the Predators Cheerleaders, Chris Stanley and Friends, Westerleigh Showband, the Marionettes, the Wild Wanderers, One Too Many and the Ten Pound Suit Band. Page Park was given to the public by local benefactor Alderman Arthur William Page in 1910. The bandstand was added in 1927, becoming one of the park’s most loved features, but over the years it had fallen into a state of disrepair. Two years ago the Friends of Page Park - set up in 1999 to develop and protect the park - decided to restore the bandstand so the park could host music and performances for the community. The group’s restoration fund was given a boost when Henry John Page, the grandson of Arthur William Page, made a substantial donation. Once plans were drawn up and quotations received, the group applied to three organisations - Ibstock Cory Environmental Trust, Cory Improvement Trust and SITA Trust – to enable them to reach their target of £90,000 to complete the project. In just four months the group had secured the cash, paving the way for work to start in August 2012. 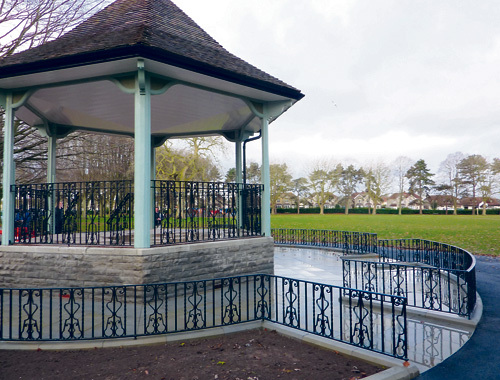 The bandstand now boasts two levels, one with steps leading up to it and another on ground level so it can be accessed by the elderly and disabled. Four rose beds with black decorative fencing surround the monument and there is an extra paved area. New guttering and down pipe have been installed as well as an electricity supply to provide power for lighting and musical instruments. Stephanie Purser, vice chairwoman of the Friends of Page Park, said she hoped the community will turn up in force to support the event. “Over the years the bandstand had fallen into disrepair and South Gloucestershire Council did what they could but it needed a lot of money to restore it properly. “We were very lucky to secure the £90,000 for the restoration and now we want to put on a programme of events at the bandstand throughout the coming year. “It looks absolutely beautiful. We’ve also planted four scented rose beds and we’re waiting for them to come out. Friends of Page Park has been instrumental in helping restore the park to its former glory. Completed projects include a dovecote built in November 2009 and a £100,000 sensory garden complete with aviary, water feature, plant-filled boat and sculpture. A Heritage Lottery bid to fund further improvements was submitted in February. The group will find out in June if they are successful. The grand bandstand opening ceremony will take place at 12.15pm but activities and entertainment will take place from 11am to 7pm. The opening event has been made possible thanks to a grant from Awards For All.